Child Line - Play the sky's the limit (instead of blues busters) Crucial Crew- Watch out for hazards with the crucial crew! Have Fun Stay Safe - links for different places Home Safety – Can you spot the dangers? If you're worried about something, you can always talk to any of the adults who work in school - they will always be there to listen to you and help you. A free helpline for children to call to talk about any problem - their counsellors are always there to help sort it out. You can phone if you're worried about a friend being bullied. Like ChildLine, you can phone their advisors if you've got a problem or are worried about a friend. 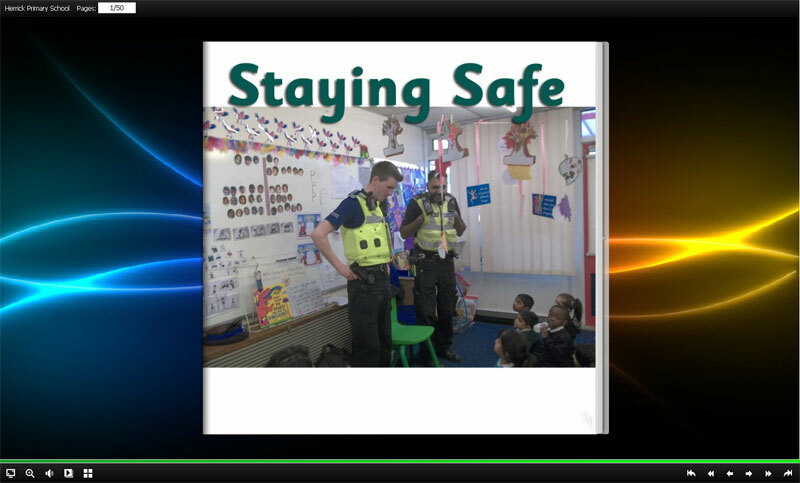 Please also above to find out more about how we're teaching the children to keep themselves safe. There are photos below for you to look at and fun websites for you to play on together too! Please visit Internet Matters for excellent information and resources to help keep your children safe online. New Parenting in the Digital Age website Click here for advice and support on keeping your children safe. Think U Know Are you a switched on mum or digital dad?! - take the parent test! Child Net A fab introduction to keeping up with your children on the internet! Child Net Languages Scroll down to see the above in a variety of languages. Kidsmart Keep ahead of your kids! Direct Gov Need support becoming secure online? BBC Webwise Need support using the internet? The 4 big internet providers in the UK - BT, Sky, TalkTalk and Virgin Media - provide their customers with free parental controls which can be activated at any time. They have come together to produce these helpful video guides to help you to download and set-up the controls offered by your provider. O2 and the NSPCC have launched a new free helpline to help you keep your children safe online. Net Aware A guide to social networks your children may use - minimum age, what they involve and safety settings. At Herrick we are taught how to stay safe throughout the curriculum - whether it is when exploring the outdoors, using exciting outdoor play equipment, using safety in cooking/DT/PE or enjoying the outdoors. Before doing activities where we need to manage risks, we complete risk assessments with our teachers so we understand what we need to do keep ourselves safe and why. We also have lots of special visitors including our local community police officers, fire fighters and PE Specialists.